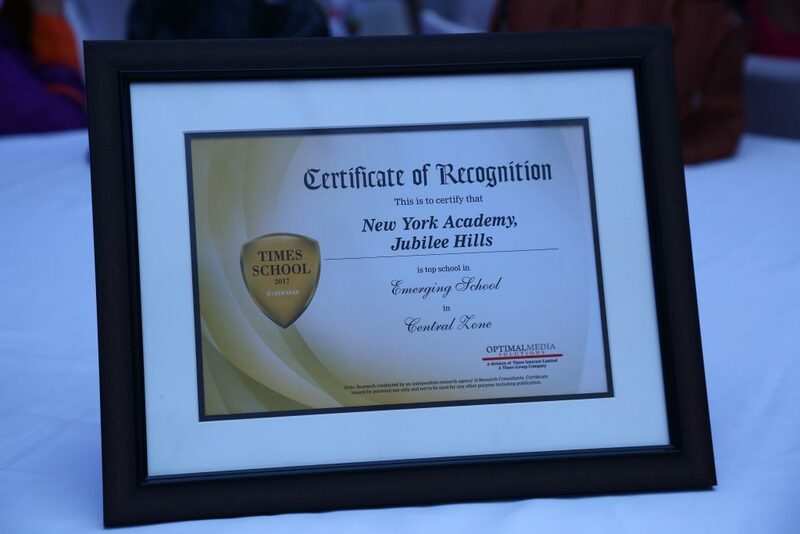 New York Academy is proud to announce that we have been named one of Times of India’s Best Emerging Schools in Hyderabad. The efforts of our staff, students, teachers, and parents all contributed to this recognition and we are so proud of all your hard work! 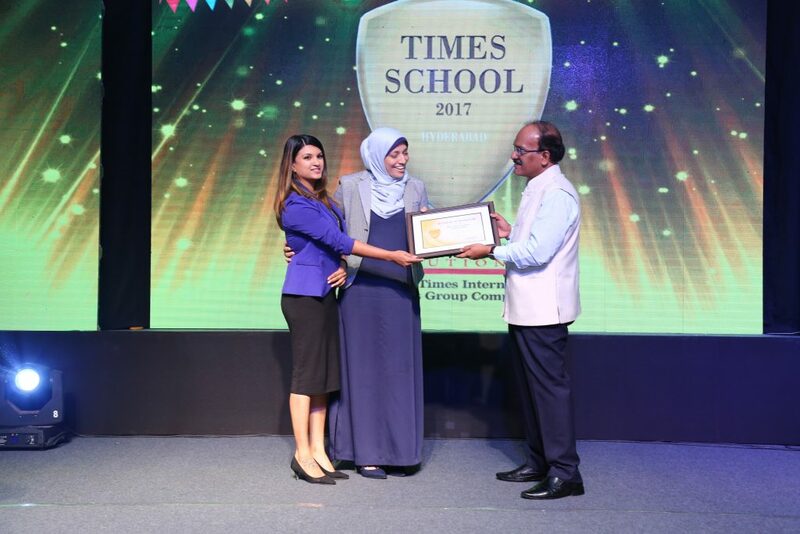 Our Principal Umme Salma and Director of Admissions Shahana Ahmed were thrilled to receive this honor on behalf of us all on December 27. For Times School Rankings 2017, the study grouped schools by region as well as National Curriculum Schools, International Schools, Emerging Schools, and Residential Schools. All schools founded after 2014 were considered for the Emerging Schools list along with NYA. Times of India says “prospective schools that are giving tough competition have been ranked separately. 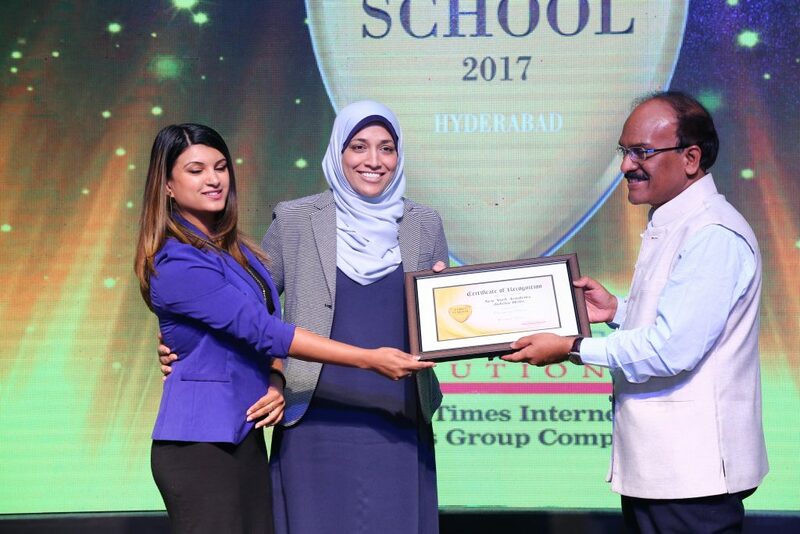 Schools whose year of inception year is on or after 2014 qualify as emerging schools.” New York Academy received the honor for schools in Central Hyderabad. We want to thank all of you for believing in our school and joining us on this journey as we think outside the box for what traditional education can accomplish and create a new model for progressive schools. It takes all of you believing in our mission and supporting our students and teachers every day to accomplish what we have set out to accomplish. As a progressive American international school, we journey through learning together, creating an environment where students love to seek knowledge, follow their passion, and are called to action. We’re proud of what we’ve done so far and excited for what the future holds. We know that one day we’ll move from an Emerging School to the top of the list of best International Schools in Hyderabad. Make learning fun so our students, teachers, and staff LOVE coming to school every day! We hope you all are enjoying Winter Break and look forward to seeing you soon!